Nursing Home Abuse and Neglect is more common than most think. If you feel something isn’t right with your senior, report it. Due in part to the sheer number of people in the Baby Boomer generation, elder care has become big business. Choosing the right facility, affording the right facility, and making complicated decisions for loved ones can be overwhelming. We want to trust that our loved one will enjoy good quality of life in a nursing home while receiving the care they need. Unfortunately, this isn’t always the case. These statistics are alarming. They serve as a reminder that we must be vigilant to protect our vulnerable loved ones. Nursing Home Abuse is an overt action that causes harm. This type of outright abuse can be at the hands of nursing home staff or even other nursing home residents. Over-medicating: over-sedation, or use of medication for any purpose not consistent with that authorized by a doctor. Nursing Home Neglect is a failure to provide a resident with proper care or services to keep them free from physical or mental harm. Neglect of your elderly loved one is more likely to occur than outright abuse—and it can be just as dangerous and damaging. Social neglect: failure to address the social and emotional needs of an elderly patient, such as repeatedly ignoring and leaving them alone for long periods of time. Noticeable hazards in the facility, such as unsafe equipment, poor lighting, or slippery floors. When visiting your loved one in a nursing home, be mindful of the signs of elder abuse and neglect. It is the best protection you can provide your loved one. Abeyta Nelson Injury Law regularly helps elderly victims and their families obtain justice for nursing home abuse or neglect. If you suspect your elderly loved one is being abused or neglected, act quickly to prevent further suffering and harm. 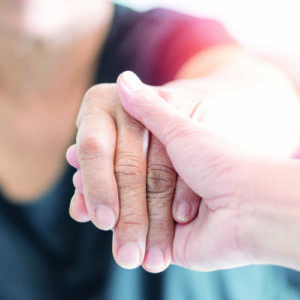 If you believe your loved one has suffered injury, or may have passed away as a result of nursing home abuse or neglect, we can obtain answers about what happened and advise the family what to do. Call Abeyta Nelson today to schedule a free consultation. There is never a charge to discuss your questions with us, and never a fee unless we win your case.